Toss Gascoigne's interests lie in communication, event management, research and policy, constructing workshops, strategy, and training. For the last 15 years he has occupied a unique position in the research and tertiary sector in Australia and has helped create and manage advocacy and member-based organisations. He has brought together coalitions of interests to press for policy change. Toss has written and presented in national and international arenas on research, education, science and advocacy issues. With a colleague, he conceived, wrote and co-presents Australia's most popular and long-standing workshops in media and presentation skills for researchers. From 1995 to 2008, he has served as Executive Director to two national advocacy bodies, FASTS and CHASS. The main purpose of both organisations was to propose policy in the areas of research, education and practice as it affected their members. A key element of these roles was strategic planning. In these roles as Executive Director he was instrumental in devising a national event at Parliament House, 'Science meets Parliament' Day. This event brought 200 working scientists to Parliament for individual meetings with MPs, and incorporated a nationally televised address to the National Press Club. The model for both the meetings and the NPC address have subsequently been used by other groups in the research and tertiary sector. The first discussions to create CHASS began in November 2003. 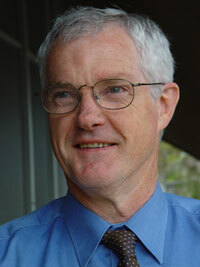 Toss Gascoigne had participated in early discussions from 2003, and was appointed interim director in January 2004. His brief was to build an organisation from scratch. It had to include diverse groups and organisations in research, education and practice across the humanities, arts and social sciences. In just 6 months, by June 2004, 150 organisations had paid a subscription to join CHASS. They met for the inaugural AGM at the National Press Club to adopt a new constitution, elect the Board and set policy priorities for CHASS. Other coalitions of interest have been forged over the Science meets Parliament and Humanities, Arts and Social Sciences on the Hill (HOTH) events. Each of these has attracted the support and sponsorship off up to 16 different organisations ranging from CSIRO, national cultural institutions and funding councils, to organisations representing university groups, the Academies and peak councils. Research is a key element of the positions he has held: the drafting of submissions, the preparation of reports, the construction of events, the selection of appropriate speakers at events. In policy issues he has conducted two significant inquires into the activities of researchers commercialising their work, in both the natural sciences and non-sciences areas. Both reports have been published. When CHASS was established, the Minister provided substantial funding for three research projects. Toss played a significant role in managing these projects and editing and writing a significant part of the final reports. They are available on the CHASS web site. In 2003-4 Toss played a leading role in the establishment of CHASS; and as inaugural Executive Director helped set up the structures and processes that have enabled the successful operation of the organisation. In 1994, he helped devise and establish Australian Science Communicators, a new national body that linked people with an interest in science communication across Australia. ASC currently has over 450 members and in 2007 hosted 600 international journalists and communicators at the fourth World Conference on Science Journalism. ASC has served as a model for similar national bodies in New Zealand and South Africa. Toss has been a member of the committee of the PCST Network (public communication of science and technology) since 1994. As a committee member and the inaugural President, Toss has played a leading hand in helping the organisation develop. Since 1992 he has run (with a colleague) about 600 workshops in media and presentation skills for people working in science and research. These highly practical one-day courses help researchers describe their work and its implications to audiences ranging from conferences and industry, to the media. They are the longest running and most popular workshops of their type in Australia. The workshops are held in conjunction with Econnect, and are kept small to allow for individual attention, plenty of practice, and maximum feedback. See Econnect, for further details including course outlines, testimonials and costs. Workshop clients include Cooperative Research Centres, R&D corporations, CSIRO, NGOs, universities, industry and government departments.